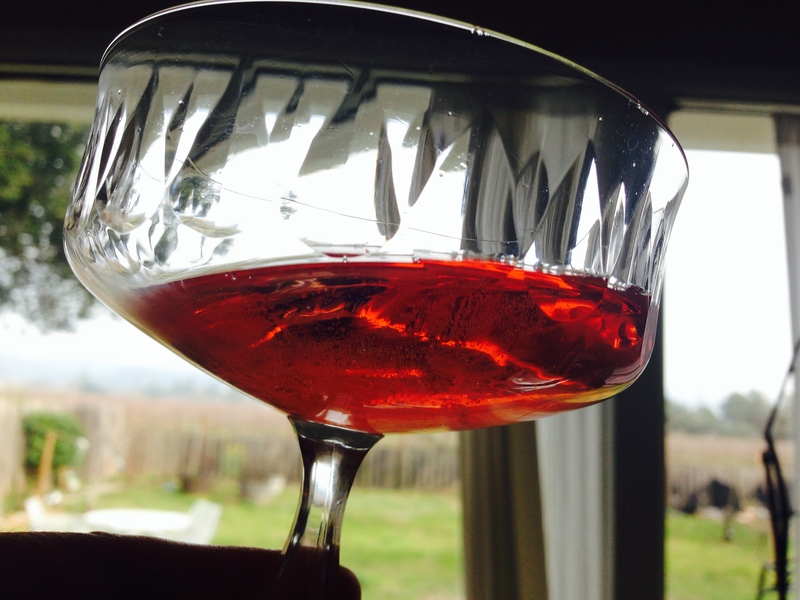 A Brut Rosé For Valentine’s Day & A Pink Dinner Extravaganza! 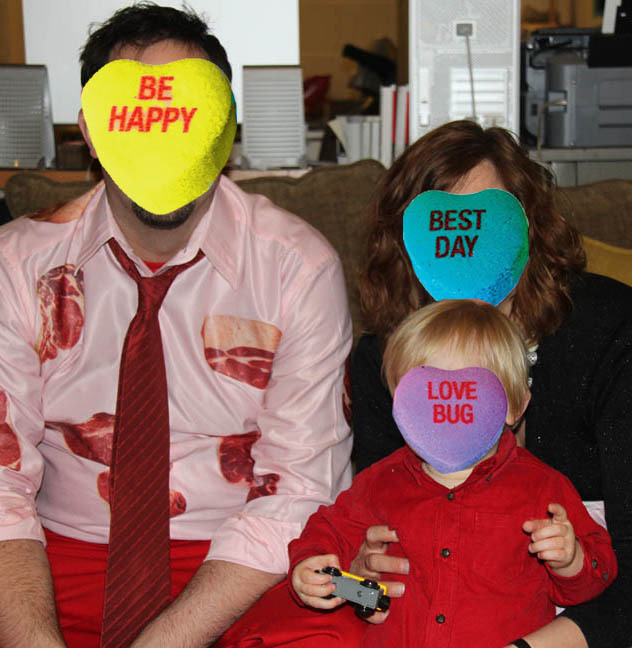 Valentine’s day, as we know it, has evolved into just another feat of extreme consumerism. So what is my point? Well, it wasn’t always the holiday of paper hearts and cupids. Valentine’s Day has a storied past dating to Ancient Rome and the Lupercalia which was an archaic rite connected to fertility. As the years passed, Christians, persecuted and martyred, became the subject of liturgical celebration, thus several St. Valentinus were anointed through the ages. 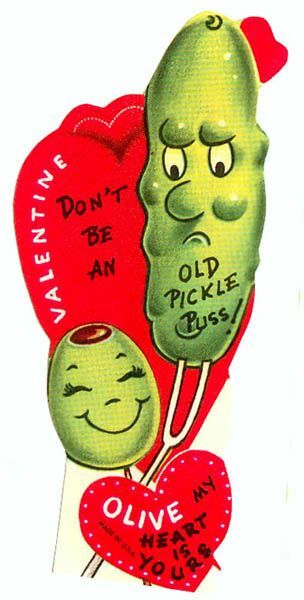 Saucy Victoriana: This card embarrasses me, I sure hope they are engaged. Obviously they are not married with children. The association to romantic love can be attributed to Chaucer in the 13c. Incoherent by today’s educational standards, his Middle English poetic prose spun tales of courtly love that laid the foundation for our modern day customs. But popularity was a slow, slow build, like my Twitter following, until 500 years later (like my Twitter following) in 18th-century England, St. Valentine’s Day became an occasion. Expressions of love through flowers, confectionery and greeting cards have become de rigueur, but it was all the rage for the Victorians and their gift to us of cherubs, lacy hearts and rosy cheeked doyennes fawning over mustachioed gentleman while a dove lightly drapes a ribbon over a doily is still recognizable today. Mid 20c. 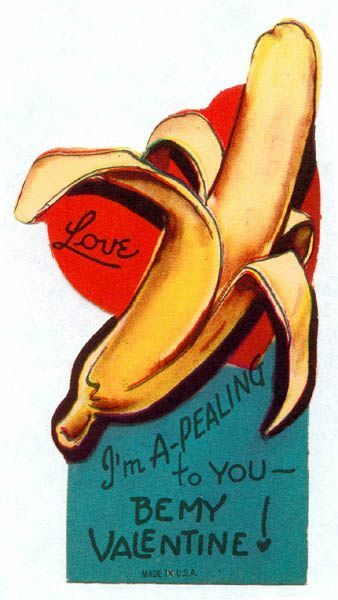 Valentine’s Cards: Leave it to the puritanical Americans to pervert romantic love through anthropomorphizing food, concocting silly puns that veil phallic symbology. So many cultural issues, so little time. Roman martyrology aside, today, St. Valentine’s Day is officially deemed a feast day in the Anglican Communion, as well as in the Lutheran Church. The Feast of Saint Valentine took on a new meaning for me recently. I learned of a colleague who famously arranged “pink” dinners with his family every Valentine’s Day for the past 8 years. The requirement was for everyone to wear, eat and drink pink. I was intrigued. I asked what he and his lovely wife and adoring son drank with their pink dinner….he was remiss. I gasped. “sir, there are a myriad of excellent sparking wines, Champagnes, rosés and fancy cocktails (including Shirley Temples for the bebe) that you must consider in this year’s menu. Hence my recommendation…. The Pink Dinner Valentine’s Day Family. They asked to remain anonymous as they must thwart unwanted spectators with outlandish expectations. The pressure to outperform year after year from existing FB friends has already taken a toll. 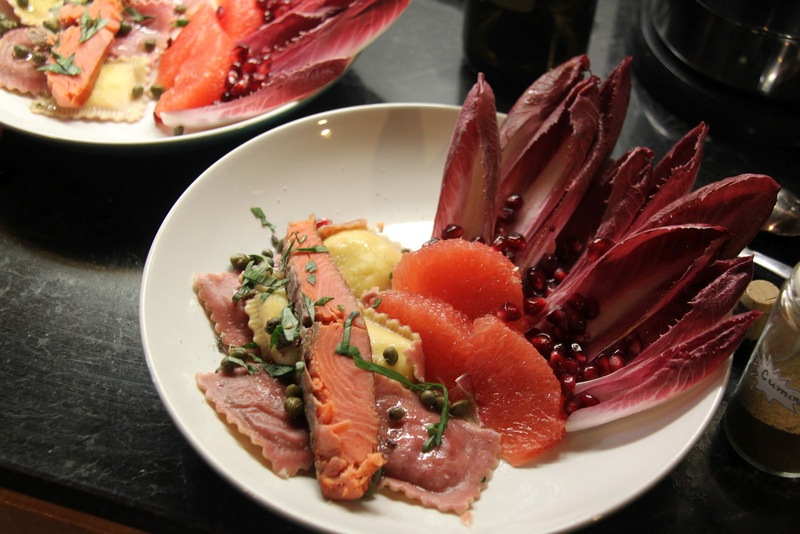 Salmon, endive, grapefruits and pink ravioli – a feat of a treat! 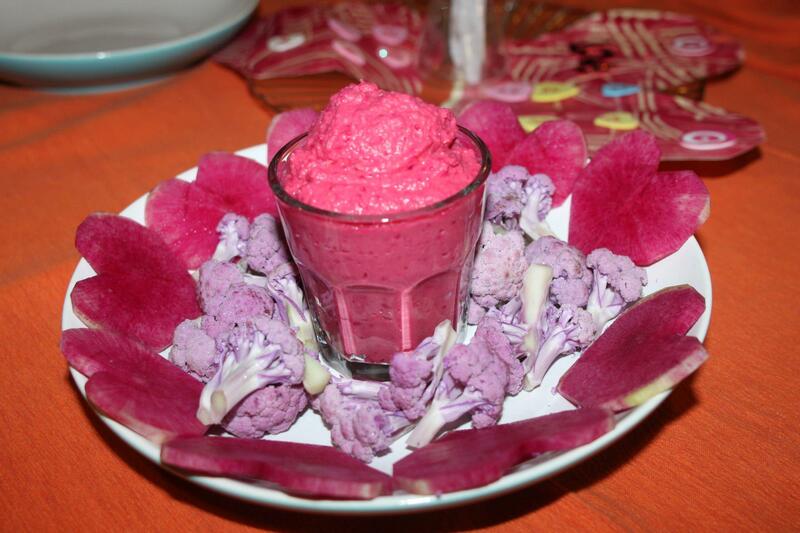 A pink crudité of pink hummus, beet juice dyed cauliflower and heart cut beets….mmmm healthy! 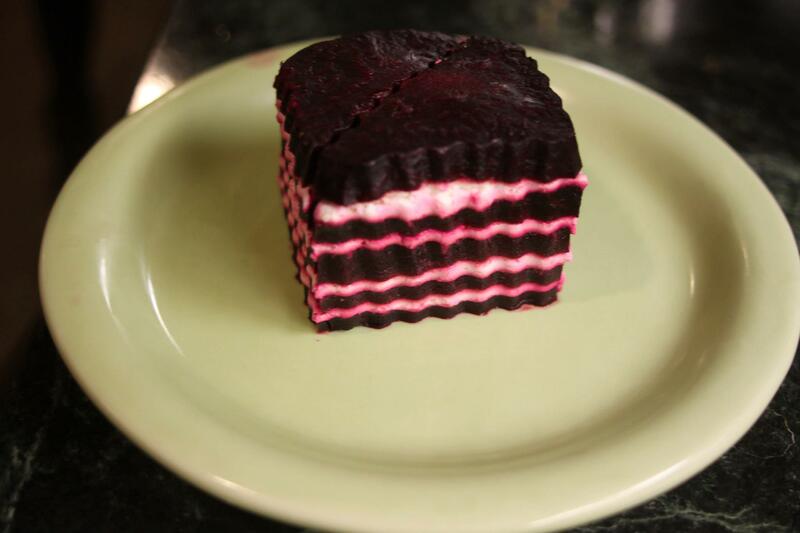 Beet chèvre Napoleòn – la vie en rose! My Mother insists that I am drinking sparkling wine out of a sherbet dish and not a coupé. I explained to her, it’s a state of mind, not an arbitrary dictate on stemware. I then stormed off to my bedroom and slammed the door. Although I will never admit it to her, I’m kinda embarrassed. As I cried into my pillow, I asked myself, aren’t sherbet dishes and coupés interchangeable? I passed Anna several times always intending to try, but never the opportunity. Well, how could I resist a brut rosé on Valentine’s Day? This wine is made by one of Spains oldest wineries. Anna de Codorniu has been continuously producing wines for half a millennium. Founded in 1551 by a family of winegrowers headed by Jaume Codorníu, this one of the oldest brands in continuous operation in the world. Codorníu was started in the same century as Beretta firearms, Cambridge University Press, Toshimaya Sake and Löwenbräu. In 1976, the Codorníu cellars at Sant Sadurní d’Anoia were declared “a National Monument of Historical and Artistic Interest” by King Juan Carlos I. Fancy! Fancy! Made with the varietals Pinot Noir 70% and Chardonnay 30% (not the typical blend of macabeu, parellada and xarel·lo) in the Methode Champenoise, this wine has the traits of a quality sparkling wine you would get for 2-3x the price. 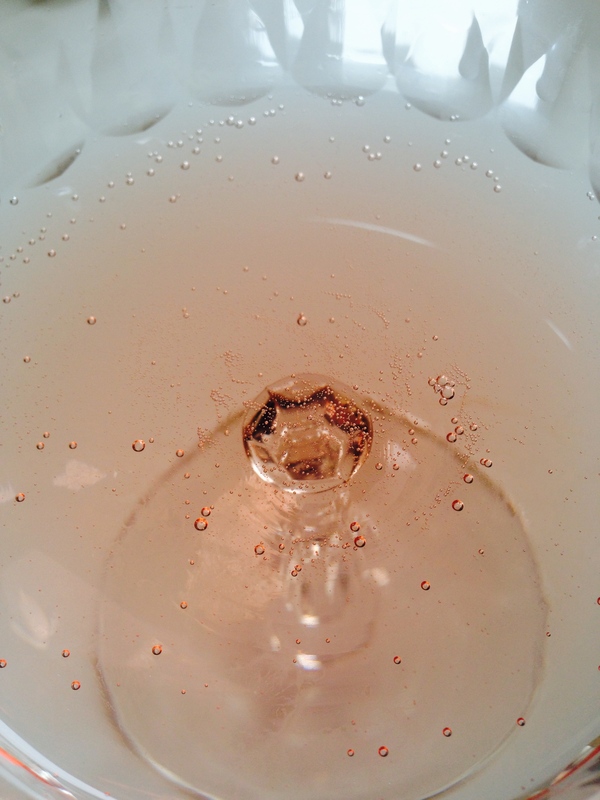 The nose was faint but the bubbles very active and effervescent. I noticed the mousse immediately with the pour. The color was intriguing as it had a varying depth luminescent strawberry color depending on the angle of the coupé. My first sip was expectedly crisp, yeasty, refreshing with young strawberry, apple, honey, sweet corn (a summer pairing with corn on the cob – yum) and an even acidity that led to a long citrus finish. This is a lovely wine that has nuanced delicacies that far out perform its price….and I am very OK with that. Moreover, I love this packaging. The signature print on the foil, the pink wrap on the bottle. This wine has the class of Möet and modernity of Sofia but priced much less. Paired with an entirely pink meal of beet dyed devil eggs, poached salmon and frothy buttery mashed beets and potatoes, this will also go perfectly well with a dessert of passion fruit pane cotta or strawberry sherbet. No matter the culinary extravagance, your “corazon” will be impressed by your selection of wine. I give it a buy again con gusto!